# Postworkout (PWO) Nutrition: This is the most important aspect of bulking up. It is within the 15 minutes after a workout that your body is in dire need of nutrients. 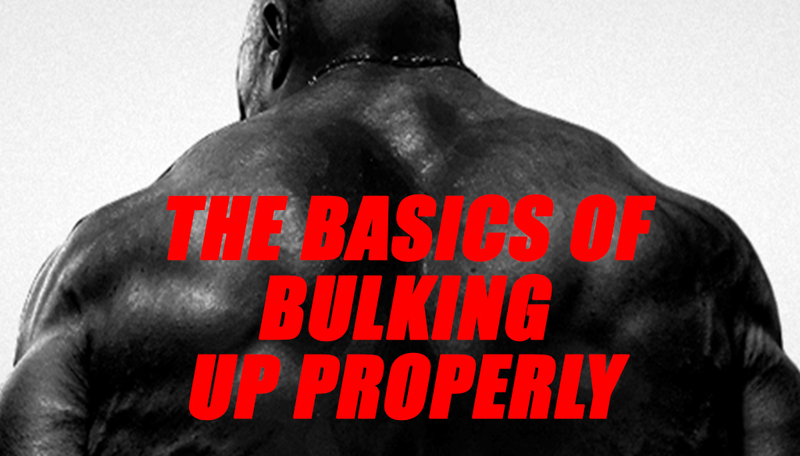 It is in a completely anabolic state, and what you take in can be optimized to ensure maximum results. A general rule of thumb is 40-60 grams whey protein. # Carbs: Carbohydrates are a very helpful macronutrient when you are trying to gain mass. However, carbohydrates are only useful if they are used at the correct times. In our opinion, carbohydrates are only necessary for 3 meals of the day. These meals include breakfast, your PWO Shake, and your PWO Meal. # Protein: Just like when you are cutting, you need plenty of protein. For bulking up, a good rule of thumb is 2-3g of protein per pound of lean bodyweight. You should take in a good portion of your protein in the source of real meals, avoid intaking too many shakes, as real food comes to a better benefit. # Fats: EFA’s (Essential Fatty Acids) are extremely important in any bulking cycle. The list of benefits from taking in dietary fats are extensive. A diet which includes EFA’s will yield much better results. Some examples of foods with essential fatty acids include: fish and shellfish, chia seeds, pumpkin seeds, flaxseed (linseed), sunflower seeds, leafy vegetables, and walnuts. I’m sorry my friend, milk shakes and french fries do not count. # Cheating: Cheating is essential. Why? Remember, the body runs on homeostasis, it likes to keep balance. After eating so well after a week, your body begins to adjust, and mass gain / fat burning over time will not be as rapid. The other extremely important aspect is mental sanity. So many diets crash and fail because people don’t give themselves a chance to breathe. Remember, cheating is not an opportunity for you to pillage the entire mall food court. Shoot for a cheat meal, but not an all out binge. A fast food value meal can easily provide over 2,000 calories. Eat that 3 times on one day and you’ve consumed 6,000 calories. Unless you are an Olympic gold-medal athlete, most likely you don’t need to be scarfing down that much food. # Cardio: Damn right, cardio! Yes even when bulking up. Why? Because cardio works the most important muscle of all–YOUR HEART. Not only that, but doing cardio 3 times a week will help keep the fat you will gain in this diet to a minimum. Cardio should be performed on an empty stomach first thing in the morning for maximum effectiveness. You’ll do wonders for your metabolism if it gets jump-started every morning with a tough workout. The proper cardio for burning fat is done by staying in your target heart rate for fat burning which is 65-70% of your max heart rate for a period of 45-60 minutes. **Cardio Disclaimer: Some people have a harder time gaining weight than others, and doing cardio might not be the best idea for these people. For others who wish to use the fat burning abilities of cardio but still gain size, 30-35 minutes of cardio 1-3 times a week may be a better choice. Remember it is your body and only you know what works for you.